When it comes to negotiating the best deal for his clients, Andrew Chrysanthou is rarely surpassed. 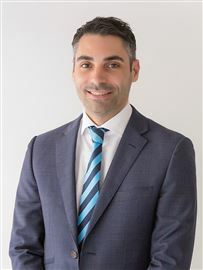 His tenacity, experience and genuine care for the company and clients he represents are only three of the many reasons why he is regarded the leading agent in Blacktown. 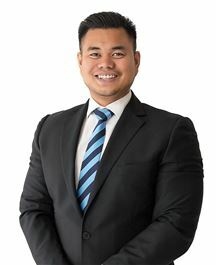 Commencing his career in real estate back in 2003, it has been in the last 6 years that Andrew has developed a well-known, multi award winning office which currently employs 18 staff members. 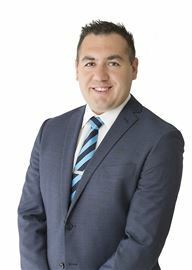 He is the Director and Auctioneer at Harcourts Unlimited and has continued to be a successful and highly referred sales consultant throughout the course of his career. He has create a rare market whereby he services both buyers and sellers. He is an enthusiastic communicator who has the innate ability to understand his client’s needs. These skills combined with his extensive knowledge of the industry and his network of contacts have contributed to his success which recently landed him the pin award for $225 Million in sales. Andrew has built his career by focusing on enhancing the real estate experience for those who he represents in the process. He offers his clients a full range of services that enhance and enrich the overall experience. Danielle has been in the Real Estate industry since 2004. Through her hard work and dedication she has managed to gain experience and knowledge in all areas of real estate as well as becoming a successful award winning Property Manager. She has also recently completed her studies to become a Licenced Real Estate Agent. Since returning from maternity leave Danielle is now working part time as the Customer Service Manager for Harcourts Unlimited and continues to be an integral part of the team. Danielle is looking forward to providing the highest quality of customer service for all our clients. Focused, precise and organised with a diligent eye for detail, Dilara is drawn to the fast paced challenge of real estate and is driven by her determination to provide every client of Harcourts Unlimited with an exceptional service experience. 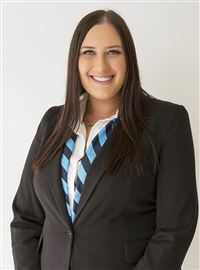 Starting her sales career in 2009, Dilara joined the leading Blacktown office in 2015. Starting off in a Sales role, Dilara displayed some of her best customer service and selling skills. With her friendly approach, knowledgeable background and great presentation, Dilara excelled quickly in her role as an Area Specialist. Later transitioning into her role as office administrator, Dilara aspires to make Harcourts Unlimited the number one office for superior client service with her meticulous approach and high organisational skills! As office administrator, Dilara is responsible for office operations, all marketing campaigns, servicing all clients, public relations and more! She has extensive experience working marketing with a determination to progress further. With her high level administrative skills, Dilara works with a number of different programs and systems. Her positive and energetic personality is communicable to everybody she meets. Dilara strongly assists both the sales and property managers’ aspects within the business and plays an integral role in the stability and growth of the thriving business. Dilara cares about creating long term relationships built on honesty and reliability. Maryann brings with her over 17 years of Real Estate experience including owning her office. Maryann joined Harcourts Unlimited as the Business Development Manager for our Property Management Department. Maryann has completed her Diploma in Real Estate Management and also prior to real estate worked in accounts and payroll. Maryann purchased her first home at the very young age of 18 as an investment property and also owns her own home in Blacktown. A very well organised individual and a home owner who has bought and sold her own home and investment properties, Maryann has a passion and understanding for what investors are looking for in a Property Manager. Maryann will also be ensuring the Property Management Department runs to its full capacity and also has the task of growing our managements. Maryann has been awarded top Business Development Awards in NSW consistently throughout the years. Maryann also resides in Blacktown and has lived in surrounding areas for over 40 years. Please call Maryann on 9622 3299 or 0411 254 888 for any Property Management needs. Cyndi first entered the property market at the young age of 20. She discovered her love for property when she began working as a property manager, administering a portfolio in excess of 100 properties. To further her knowledge in the property market she then completed her Diploma in Finance & Brokering with MFAA recognition. Cyndi has helped many people create their success stories by creating wealth through the property market. Her knowledge is gained through extensive research and keeping up to date with the economy. Cyndi’s in-depth understanding of demographics and infrastructure throughout Australia has allowed her to provide and guide clients with making the right decisions when purchasing their first home or investment. Cyndi is also a dedicated mother of two young boys, which serves her purpose. Accordingly, Cyndi understands the hardship and can empathise with people in similar circumstances which is why she thrives to help people escape the rat race through property. Priding herself on customer service, Cyndi only wants to assist people with the sole purpose of helping them achieve what they desire. Cyndi has taken part in volunteer work with various well recognised non-profit organisations and is always willing to give back to the community. Contact Cyndi now to discuss your investment plans and how YOU can maximise your wealth through property! Driven, efficient and with unsurpassed area knowledge, Kristina always maintains a high level of professionalism, focus and dedication to every task she undertakes. Kristina’s commitment and honesty with all her clients effectively shows with her daily interactions with her clients who trust and value her work. Kristina offers years of experience and a genuine dedication to her work. She is highly qualified with a Diploma of Property Services. Kristina chooses to specialise in property management as she takes a great deal of pride and satisfaction from developing long term relationships with clients. With comprehensive knowledge of the South West due to her local residency exceeding twenty years, owners can rely on Kristina to deliver a highly professional service that affords them total peace of mind that their investment is in good hands. Attentive to her clients’ needs, efficient and professional, Kristina Topic is a sound choice in the best interests of your investment. 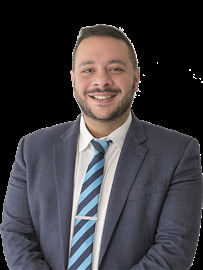 Hard working, knowledgeable and highly motivated, Senior Property Manager Mahhab Abdou is a valuable asset to the Harcourts Unlimited team. 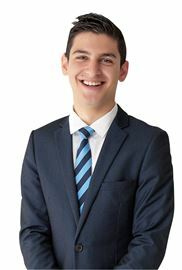 A faultless understanding of The Property Act and eighteen years within the industry has prepared Mahhab with an impressive skillset and the ability to deliver knowledge in many aspects of the business. Mahhab is very hands-on and firm in her determination to exceed client expectations. She has a refreshing and natural way with both landlords and tenants, earning their trust through open and honest communication, while staying true to her core values of honesty and integrity. Mahhab’s ability to listen enables her to understand individual requirements and further plan strategically to make them happen. Mahhab's end goal is to be the best in her field and give her clients that most valuable gift all – the peace of mind that comes with knowing their investments are being expertly managed. A Touch of Class - Don't Miss! Modern Living with City Views! Sold - Open Home Cancelled!